Many of George's fans know all too well of his appearance at Disneyland's Opening Day. Photos are known to be extremely rare, let alone a candid shot as you see above. 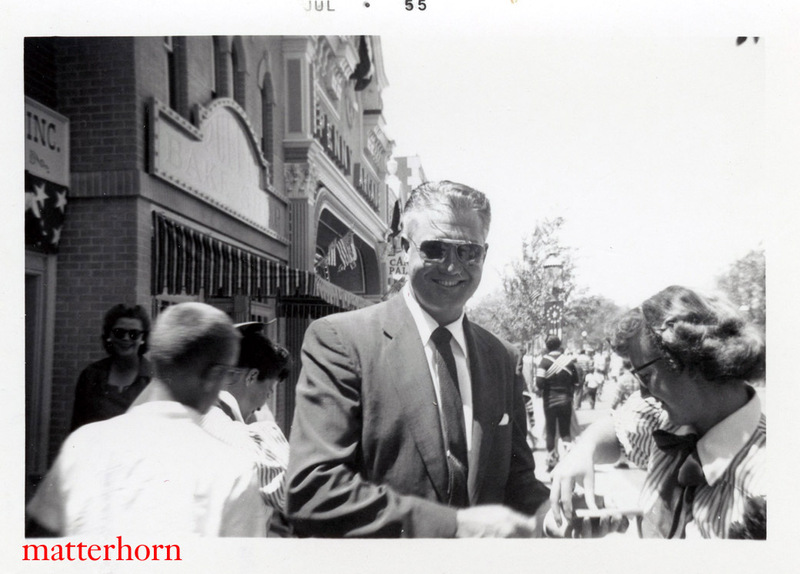 For more photos of Disneyland's first day please visit Patrick Matterhorn's blog page. Patrick was nice enough to allow TAC to post this image of George with a link to his blog page. There you will find others who attended the opening day festival, such as Fess Parker, Buddy Ebsen, Debbie Reynolds, Eddie Fisher, Art Linkletter and Bob Cummings. You will find many great images. Thanks go out to Larry James for the blog page find.